Hello to my new team of masters at the art of trading, as well as newbies like myself. I have no idea what I'm doing. I am just winging it. I am open to all the advice and methods for trading. I want to be very successful and change my life. Since I'm here I'm an open book and I have struggled through some tough times and drug addiction. Been homeless for years and even went to prison. Last year I decided its time to straighten out my life and get it together. Since then I have had my family support once again. My friends seeing me do good and they help me out. I've even been given the keys to my brother's house to take care of his dog while he was out of town. My life has been a huge turnaround. Now the only thing that is holding me back is my income. I refuse to be a slave in this minimum wage system they have built for us Americans. I need financial freedom so I can do the things I love and help out the people through charities and other forms of charitable work. I can't wait to be financially free so I can see the life that God meant for me to live. 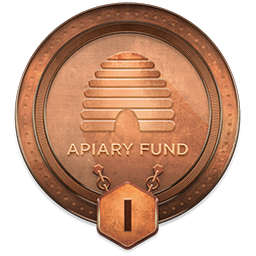 Welcome and good luck to you.The good life that you speak of is entirely possible with this vehicle called the Apiary Fund. In order to succeed you must realize that it isn't overnight and it takes a lot of hard work. Be assured though, the train is going to the station that you want to go to.The best advice for a new trader is to not trade any lot size larger than .01 lots until you fully understand and have developed a trading system that you know. That lot size on a 10K practice account won't hurt you . When questions arise ask them and you will se that traders here are happy to help. One last though...preventing large losses is far more important than making large gains. Wow thank you so much. Your words are very powerful and they hit me right in the gut. I am absolutely positive that with the right mentor to guide me through the process of learning how to be a trader. I appreciate your wisdom and the time it took you to respond to me. I hope that we can be successful together and hopefully i have a bright future ahead of me. Welcome! Study hard and never give up...you can do this! Like Norm said...ask lots of questions.